Crocodile Mutant 38955 - Toys & Learning - Papo Specialists - 100% - Fast Service - Sale Prices. 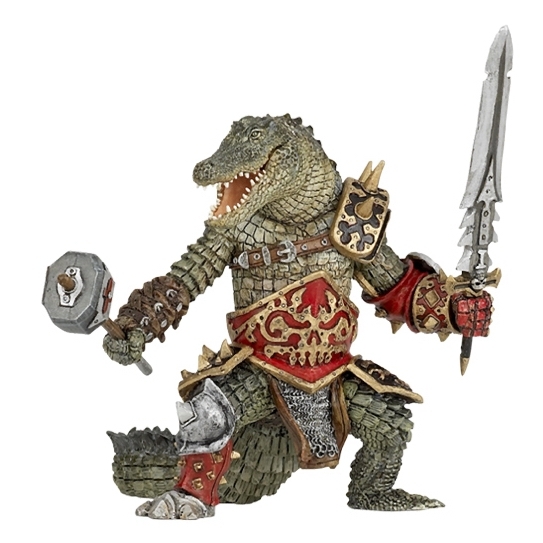 This Toy Crocodile Mutant is one of the top quality products from the Papo fantasy range. All these are dream models for every young person who can be enthused with imagination. I can tell you that this mutant crocodile may look fantastic in our picture but you wait until you see him in the flesh, I would certainly want him on my side, his facial expression is brilliant! and the way he is looking at me at the moment (sitting on my desk) I would not dare say anything else!! He wanted me to give him more than 5 stars but I explained that 5 was top of the top and that only the chosen few receive such a high rating!